I have a Mac (macOS Sierra 10.12.6) with a local admin user, a local non-admin user, and many LDAP users. One of the LDAP users can't login via VNC anymore, but can login via SSH. The affected user can connect to the VNC port, and is prompted for a username/password. After the password is accepted, they are prompted to either request to view the display of the current user, or log in as themselves. They choose to log in as themselves. Then, they just see the Connecting to ... dialog and eventually it times out. Other LDAP users are able to login via VNC and SSH, and the local admin and non-admin users can login via VNC. This has affected the same user on two different boxes (both running the same version of macOS), so I'm guessing this is some kind of LDAP configuration issue, but I wasn't aware of any LDAP properties that controlled screen sharing access. What might have changed to cause one of my LDAP users to lose VNC? The LDAP user had changed their password, but their login keychain on this box still needed to be updated. Apparently, you can't log in via VNC if your login.keychain password and your account password don't match. The system was unable to unlock your login keychain. I chose Update Keychain Password, and entered the old LDAP password, and everything worked! Not the answer you're looking for? Browse other questions tagged ssh screen-sharing . 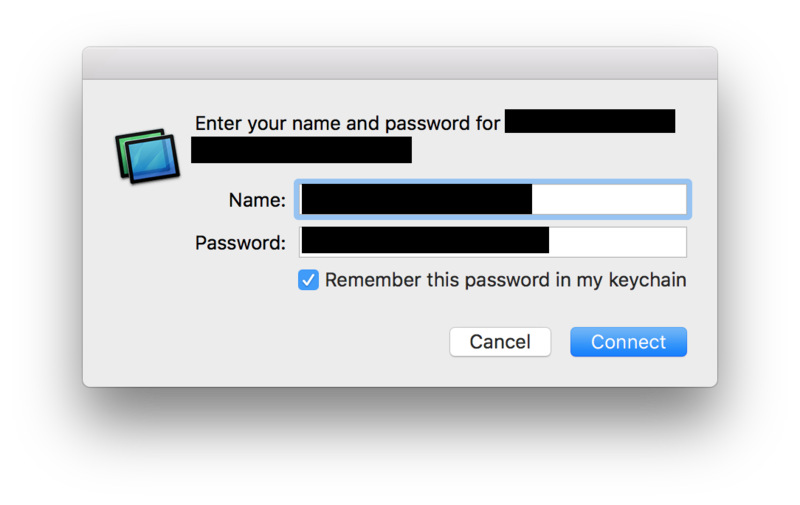 How can I create a user that can login through SSH but not on the local desktop in MacOS X El Capitan? Local Items keychain and server-based accounts? 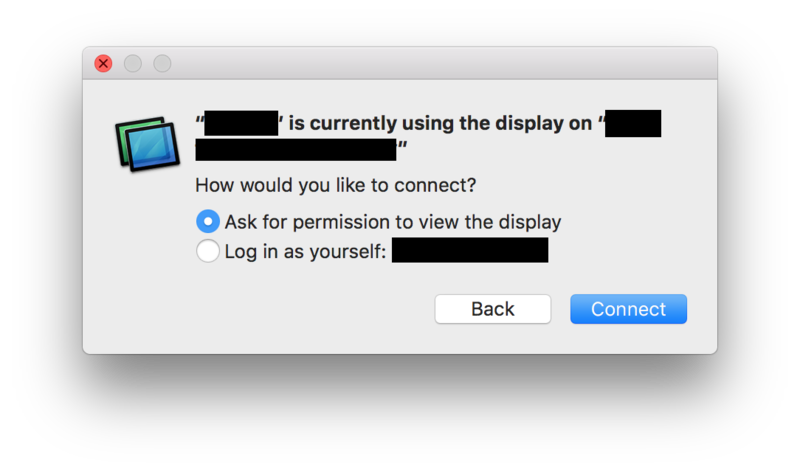 How to ssh and remotely manage GUIs on my iMac with Remote Login/Management?